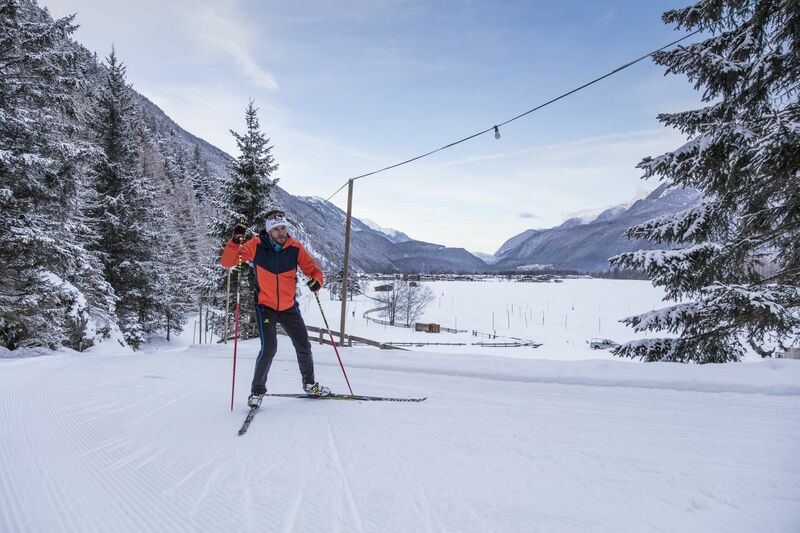 15km of classic cross-country ski trails and 10km of skating are available as is a small biathlon system which can be used during the week without advance notification. You can shoot at a 10m distance with original air-pressure guns that are used for the youth and junior areas. The size of the folding disc is proportionate to what you would find at the 50m distance. You can skate both in Gries and at nearby Längenfeld. 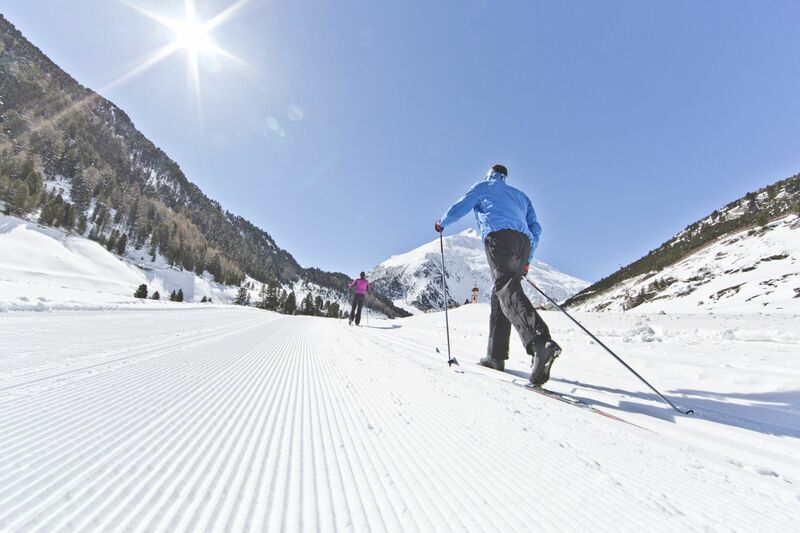 The Ötztal offers a total of 185 km of skating and classic trails. A trip to Niederthai and Umhausen is also a worthwhile alternative for cross-country skiers. Beginners can register for professional courses and start with the right technique from the beginning. There are also demanding trails for advanced skiers.